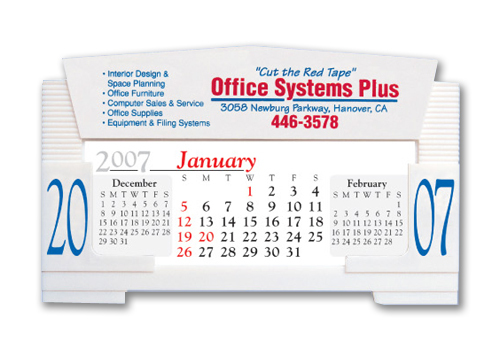 Our most popular desk calendar. Year printed on side panels, 3 month at-a-glance pad. Calendars are prepackaged and inserted into a mailing envelope. Imprint Area: 3-1/2" x 3/4" (w x h). Imprinting on envelopes and greeting cards available. Call for pricing.